This entry was posted in Denmark Denmark Immigration Migrate to Denmark and tagged citizen in denmark Denmark Immigration Denmark PR Denmark PR requirements Live in Denmark Migrate to Denmark on August 25, 2014 by Blog Author. 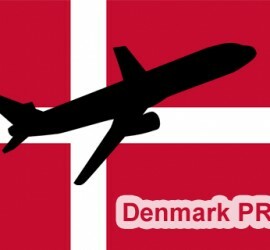 This entry was posted in Denmark Denmark Immigration Job Vacancies Jobs in Denmark Migrate to Denmark More Visas MoreVisas Overseas Jobs and tagged Danish Green Card Denmark Denmark Green Card Denmark Immigration Consultants Denmark Visas Denmark Working hours Immigration Consultants India Immigration to Denmark Live in Denmark Migrate to Denmark Settle in Denmark Strong Work-Life Balance on December 2, 2013 by Blog Author. This entry was posted in Denmark Denmark Immigration Jobs in Denmark Migrate to Denmark settle in Denmark and tagged Danish Green Card Denmark Denmark Green Card Denmark Immigration Consultants Denmark Visas Denmark Working hours Immigration Consultants India Immigration to Denmark Live in Denmark Migrate to Denmark Settle in Denmark Strong Work-Life Balance on November 30, 2013 by Blog Author. This entry was posted in Denmark Immigration and tagged City of Copenhagen Copenhagen Counties Danes Denmark Denmark Immigration Denmark Visa Live in Denmark Migrate to Denmark Settle in Denmark Starbucks Travel and Tourism Travel Visa United Nations Visa Immigration on September 20, 2013 by Blog Author.